Yoga is an incredible tool for keeping our body at its best. It helps us to gain flexibility, strength, mobility and balance. It is a powerful path to maintaining wellness, but at Windsoul Studio, we believe that yoga is far more than a physical practice. It is a spiritual journey. Along this journey, yoga also challenges us each to look within ourselves. At times, invites us to study our own attachments or aversions to begin to recognize where we may have energetic or emotion blocks that stand in the way of our own self-development. Yoga is a practice to strengthen us in body, mind and spirit. If you are looking to deepen your existing yoga practice, or if the path of yoga is calling you to lead others, we invite you to go beyond physical exercise into the deeper realms of yoga. 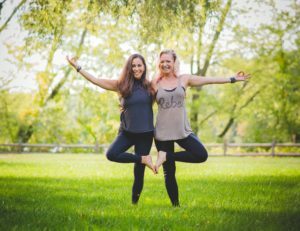 Join our 200hr Yoga Teacher Training to learn an integrated approach to working directly with the body’s subtle energies for physical healing, spiritual growth, emotional balance, and overall wellness. The training programs at Windsoul are designed to align with the often busy lifestyles of our students. We recognize that it can be difficult to commit to the one weekend per month schedule often embraced is this type of program. Instead we offer you a modular program that enables you to complete the program at your pace within a three year period. This modular curriculum also offers the option to choose the course of study that best resonates with you and your practice. To complete the 200-Hour Yoga Alliance Accredited Yoga Teacher Training Certification, one must complete ALL of the required modules along with TWO of the elective modules listed below. Click on any one of the titles below to learn more about that courses. 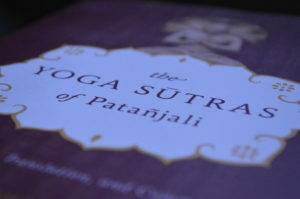 Let us welcome you into the rich history, texts and philosophy of yoga. Gain a clear understand the various disciplines and styles of practice, as well as explore the basic wellness, nutrition and self-care principles of yoga’s sister science of Ayurveda. This module will introduce you to the Sanskrit language, principles of yoga sequencing and much more. This series of classes will be an enriching experience for those who wish to take a deeper dive into their personal practice and for those beginning to explore the art and business of teaching yoga. Reduce stress, improve concentration, increase joy, slow aging and boost immunity. These are just a few of the amazing benefits that come along with a regular meditation practice. In this weekend long training, you will learn about the “fight or flight” and “rest and digest” responses of the nervous system and how we counter-act the natural stress response in the body through the tools of breath-work and meditation. We will explore the key principles and ancient philosophies of the practice, as well as the many diverse styles of meditation techniques. Identify which practices best suit you and empower yourself to guide others. Anatomy of Yoga- The Science of How We Move: One weekend: November 23-24, 2019 – Sat/Sun 9AM-5PM plus pre-course on-line work. The human body is a complex and powerful tool, which is as unique to each of us as our own personality. The subtle differences in the shape of our bones, structure of our joints and properties of our muscles all come together to deeply influence the way we each move and feel in a yoga posture. Join this weekend intensive training to gain a deeper understanding of functional anatomy and how it impacts your personal practice or teaching. You will learn to recognize the difference between muscle tension and bone compression within your own body or among those you are leading in practice. This course will leave you with a new view of the human body and a deeper understanding of safe and stable physical alignment in yoga poses. Traditional Indian medicine and spiritual science teach us that the physical body is comprised of more than just bones, muscles, and organs. Instead, it is understood to also include a more subtle body, sometimes called the light body, spiritual body or aura. This subtle body includes a series of energy centers known as chakras. Each chakra governs specific behaviors and values in our lives, such as material security, communication, and love, and serves to regulate various systems within the physical body. Yoga is one of the most basic ways to balance the chakras because it creates alignment in the physical body. Balancing and stabilizing your physical body through asana (yoga posture) practice also rebalances your subtle body. This state of balance aids to regulate behaviors and makes it easier to overcome outdated patterns, beliefs, and habits. This training intensive will take you deep into the science of the energy body. Not only will you learn about the physical and emotional qualities of each chakra center, you will also explore the yoga postures that best balance each chakra center. This class will guide you through the understanding, preparation and sequencing of a yoga practice specifically designed to work with the chakras, including guided meditations. Yogic breathing exercises, known in Sanskrit as Pranayama, have the ability to quickly increase our energy, release stress, improve our mental clarity and improve our overall health. A regular and sustained practice of mindful breathing serves to increase the levels of oxygen and energy within the body, supercharging our entire being! Join us to better understand the anatomy of the respiratory system, the dynamics of diaphragmatic breathing and how to begin to harness the power of this practice within your life. This training will educate you in a series of beginning mindful breathing practices with techniques for integrating these tools into your personal practice or your teachings. In the busy climate of modern life there are many external influences that continually stimulate and stress our nervous system. This excessive stimulation can begin to compromise our overall health and well-being. It has become paramount in this day and age to learn tools to support our ability restore our body and energy so that we can strengthen our ability to respond to future stresses. This is when tools like gentle yoga flow for stretch, movement and flexibility can help release tension in the body and a restorative yoga practice can serve to soothe the mental and emotional body as deeply as the physical. The practice of restorative yoga embraces the use of props to promote a deep level of relaxation. This style of yoga allows you to increase flexibility through softening and relaxation of the muscles so that you can stretch, release tension and clear the mind. It is an excellent tool to balance the nervous system, boost the immune system and develop qualities of compassion and understanding to ourselves and others. This 4-day training intensive will teach you the key postures of gentle and restorative yoga, as well as the art of sequencing these postures to best serve the health and balance of the body. You will gain a deeper understanding of the diverse use of props, modifications and assists to better support your personal practice or to feel confident to lead other. Special guest instructor, Gail Boorstein Grossman, author of Restorative Yoga for Life will teach the final day of this program. Gail will share her rich knowledge and expertise of postures and props, as well as lead the group through a wonderful 3-hour restorative practice to close the training. This will be an amazing training workshop! Breathe and Flow – Vinyasa Yoga Training: Two weekends: May 2-3, 2020 and May 30-31, 2020 – Sat/Sun 9AM-5PM plus at-home independent work. Vinyasa is a practice of yoga that arranges the sequence of postures to create movement that flows from pose to pose, synchronized with breath. This practice of dynamic movement, complimented with static stretches allows the practitioner to increase flexibility, strength and mobility while decreasing stress, anxiety and depression. The flowing movement and strength building postures promote cardiovascular health, bone strength and increased energy, among many other benefits. Join us for this training intensive to explore the science and theory behind vinyasa sequencing. This course will focus on stable form and safe alignment through a deeper knowledge of the structure and movement of the body. This will include a detailed break-down of the various expressions and adaptations of Surya Namaskar (sun salutation), along with many key postures of vinyasa yoga. We will explore each of these postures at various levels of difficulty to best suit all levels and abilities, including options for hands-on and hands-free assists. You will complete this course with a new eye for the art of structuring vinyasa flow and empowered to create classes to safely and confidently lead others. Yoga helps to improve body awareness, balance, strength, mobility, circulation, digestion and anxiety relief, and chair yoga is no exception. It is an excellent practice to support in the healing process and challenges that come with injury, surgery, chronic pain, debilitating illnesses, or any condition that causes limited mobility or restricted activity. This Chair Yoga Training program was created to meet the growing demand for yoga teachers and health care professionals who have the passion to teach to Seniors and people with physical and cognitive limitations. You will learn the key postures, sequencing and modifications for chair yoga and how to lead these postures for those who are chair bound, those who need some degree of standing support and those with complete range of motion who wish to enhance their practice with the chair as a prop. Stay tuned for more elective modules coming in 2020! It is our recommendation that anyone interested in joining our program first visit our studio and attend classes with us. Each training program has its own feel and culture and it is important when choosing a program to ensure that it is a good match for you. We strongly encourage you to take a class with our lead teachers, Gail Lachs or Julie Iatron. to have a better understanding of their practice style and philosophy. Should you decide that Windsoul Studio Yoga Training Immersion is the best program for you, then we ask you to CONTACT US to apply for acceptance into the program. Once you submit your application, we will reach out to you to arrange a brief interview (by phone or in person) to introduce you to our lead instructors and address any questions or concerns you may have before making your deposit or full-payment. Any student can opt to take any portion of this program module by module by registering for each at our events page or commit to the complete program, ensuring space in each required module and selected electives using our easy payment plan or one-time payment option. Easy Payment Plan*: A $450 deposit will reserve your space for this entire 200-hr certification program, followed by eight monthly payments of $300. Pay-in-Full Option*: Pay your full program costs upfront and receive a $100 discount. *Enrollment in this program includes 9-months of free unlimited classes at Windsoul Studio. If you are an active studio member enrolling, your current membership billing and/or expiration will be suspended during those 9-months. This membership is ONLY included for students who enroll in the payment plan or one-time payment for the complete 200-hr program.